Interweave is the UU name for a group that works to promote understanding, support and compassion for those who are LGBTQIA+ (lesbian, gay, bisexual, transgender, questioning or queer, intersex and asexual) and their allies. Sunnyhill had such a group some years ago, but some participants left the church and interest waned. 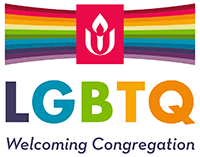 With the excitement over our newly renewed Welcoming Congregation status from the UUA and our incredible new worship facility, there was no better time to re-establish this important group. A small gathering of us have had a few meetings and exchanged lots of e-mails over the past year. The group is now growing, and more LGBTQIA+ folks are already discovering Sunnyhill. We strive to reach out to prospective members and friends of Sunnyhill by helping them experience what a warm, wonderful, and accepting place Sunnyhill can be for all persons, including the LGBTQIA+ community. We do this by word of mouth; promotional notices in newsletters, flyers and other publications; contacts at LGBTQIA+ organizations; and attendance at community events. About half of the Interweave members are LGBTQIA+, and the remaining half are supportive allies. We come from a wide variety of religious and personal backgrounds. We have made connections with Persad Center, Equality PA, PFLAG, Proud Haven, and other groups, and we are making ourselves known to the other churches in the UUPittsburgh Cluster. Interweave is proud to serve as a meaningful component of the wonderful Sunnyhill community.